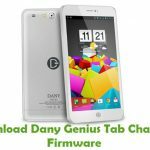 Are you looking for the stock ROM firmware of your device Dany Genius Tab G2? If yes your answer, you are on the right page. 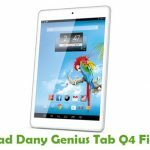 We have given the direct link to download Dany Genius Tab G2 firmware. 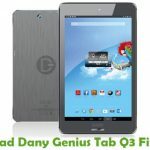 Download Dany Genius Tab G2 stock ROM from here, flash it in your device and enjoy the native Android experience again. 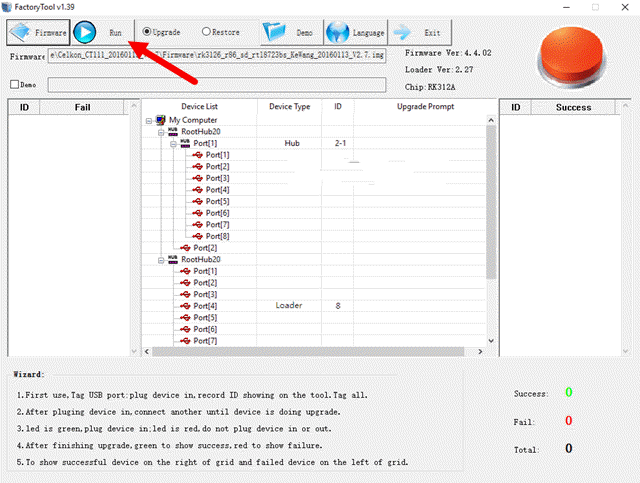 The download file contains the USB driver, firmware file, and the flash tool. Step 1: To get started, download Dany Genius Tab G2 USB driver and RockChip driver assistant, and install both of them on your computer. 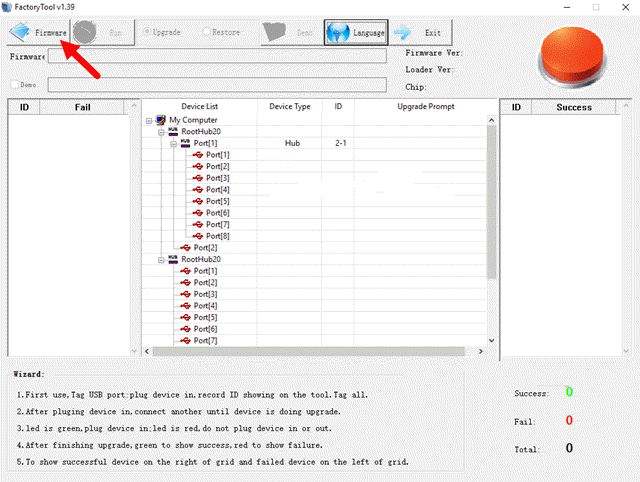 Step 2: Next, download RockChip Factory Tool and install it on your computer. Once installed, launch its Window. 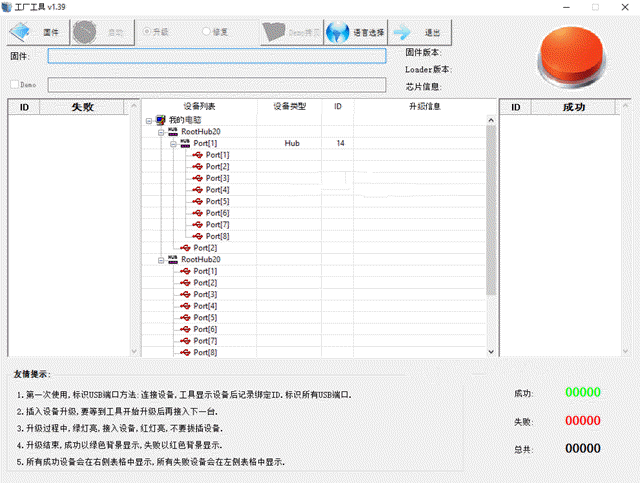 Step 3: Now change the language of this tool by clicking on the blue world icon tab and selecting the second option. 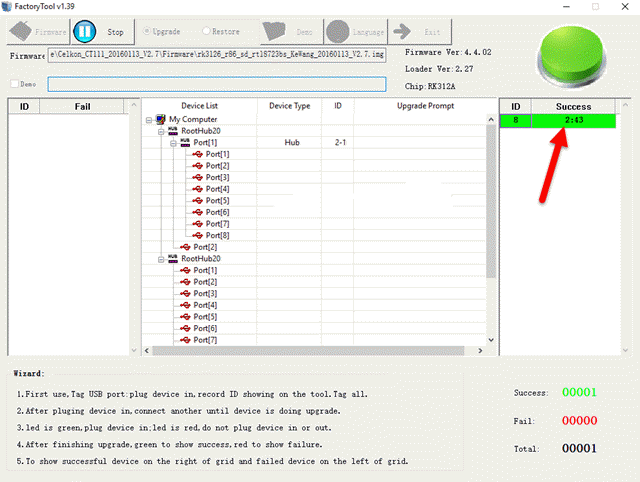 Step 4: Next, load the .bin or .img firmware on this tool by using the Firmware button as shown in the screenshot below. 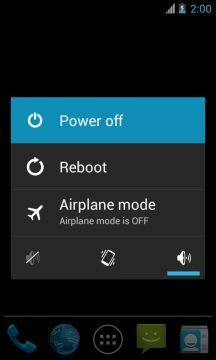 Step 5: Once you have successfully added firmware to this tool, switch off your device and connect it to your computer while pressing and holding the Volume Up button. 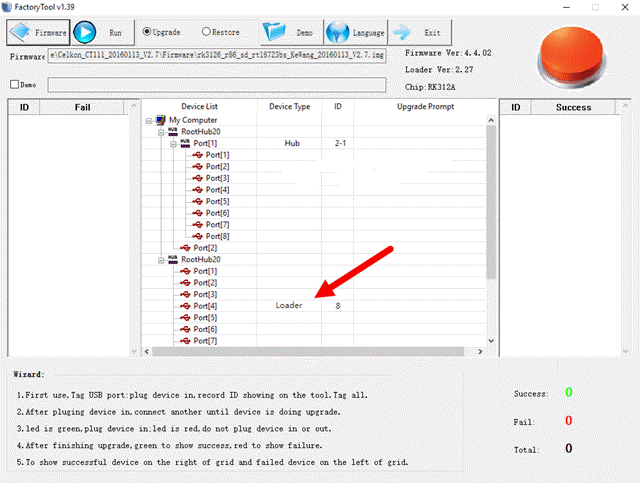 Step 6: Now your device will show up in the RockChip Factory tool as “Loader“. Step 7: Next, click on the “Run” button to launch the flashing process. Step 8: It will take few minutes for the flashing process to get completed and once it does, you will see a “Success” message as shown in the screenshot below. That’s it. 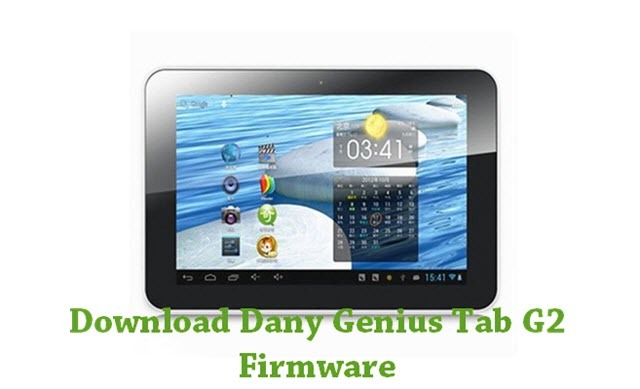 Now you have successfully flashed stock firmware on Dany Genius Tab G2 device. If you encounter any issues while following this tutorial, do let me know via comments.